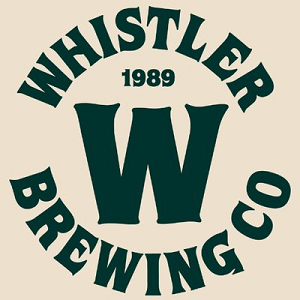 Whistler Brewing is another long-standing brewery that has seemingly stayed in place for years while dozens of other B.C. outlets have either improved or emerged. It feels like the Joey’s of breweries — a safe bet from humble roots which has leaned into its brand with nothing really to captivate. Of course, some people really like Joey’s. And having the cachet of Whistler and being one of the oldest breweries in B.C. warrants you widespread recognition and distribution. Unfortunately, the brand isn’t about experimentation, innovation, or local flavours. The Valley Trail Chestnut Ale is interesting, though ultimately another overly sweet dark beer, but was notable years ago and nothing has been since, though the Grapefruit Ale and Pineapple Express Wheat Ale remain good, crushable beers. Perhaps they’ve been investing their time and money into branding and distribution, but compare them to Granville Island Brewing, who have similar economic opportunity and market establishment: while Whistler has better beers, Granville regularly experiments with interesting one-offs. And Whistler also has a better space: very Whistler-y, with a lot of wood and some local kitsch. But it makes you feel like it could be more — particularly with their deep pockets — which aligns with the rest of the brewery: a place that isn’t bad, but disappoints because of the potential you know it has yet fails to leverage.